string(1382) "Resource Centre > Uncategorized > Agents for change. How public procurers can influence labour conditions in global supply chains. 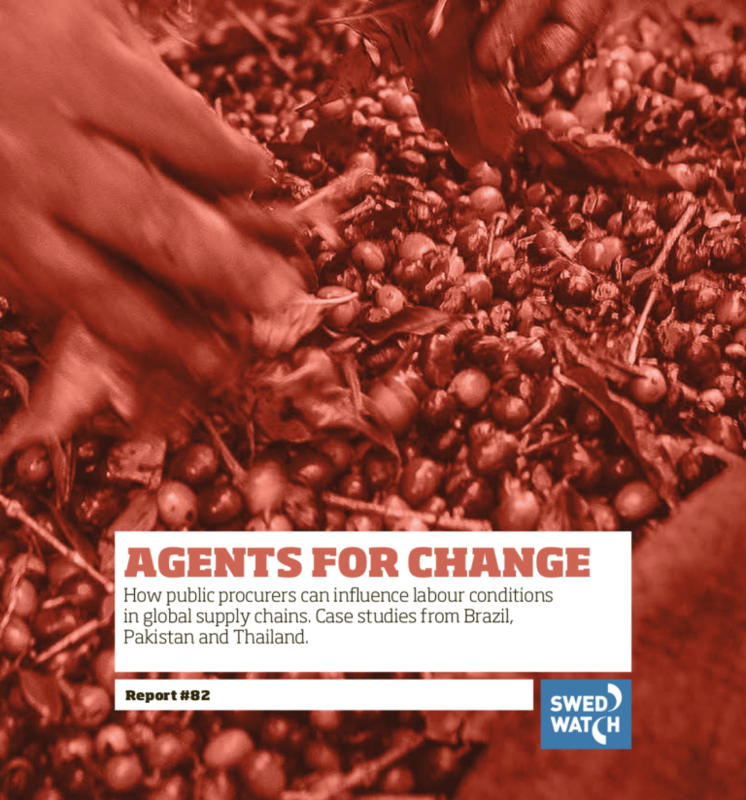 Case studies from Brazil, Pakistan and Thailand"
The report focuses on the social aspects of supply chains and examines how contracting authorities in the EU can use social criteria to improve labour conditions in countries where poor labour standards are rife. The report draws on experiences and lessons learned from the Swedish public market in the hope that they may prove useful to policy-makers and contracting authorities in other coun- tries. The report also aims to provide Sweden’s own purchasing authorities with an overview of risks and opportunities. Case studies presented review labour conditions in: 1) Pakistani factories that produce surgical instruments, 2) Thai poultry factories, and 3) Brazilian coffee farms, and illustrate how Swedish contracting authorities have used social criteria (or not).